Authors often ask me how to write (or even begin) a realistic novel about ghosts and haunted houses. The team that spends the night locked in the haunted house. The individual or couple stranded on the road, who take shelter in the only nearby house. Or, the family that innocently moves into a house that’s deeply troubled and dangerously haunted. First, decide whether your story is primarily character-driven or plot-driven. If it’s character-driven, outline a rich array of characters that your readers will care about. Shirley Jackson’s novel, The Haunting of Hill House, is a good example of a character-driven haunted house story. If your ghost is a character in the story, he or she will need a backstory. Decide why the ghost lingers at the location, and exactly how he or she manifests. Sometimes, the haunted house is almost a character. Jackson’s Haunting of Hill House is a good example. We’re never entirely sure if the house is evil, or if a specific ghostly entity is behind the scenes. If you’re going to use this story device, study several genuinely haunted houses, and (loosely) base your story on one of them. The house should have a personality, displayed in its styling, decorating, or the kinds of things that happen there. The first movie in the House on Haunted Hill series is a good example of a story that’s primarily plot-driven. Many characters were shallow and unsympathetic. Viewers didn’t really care when each died a terrible death. Nevertheless, the House on Haunted Hill franchise presented clever plot elements with superb timing. It’s not quite a “puzzle story” like The DaVinci Code or National Treasure. Still, the mysterious sequence of events held our interest more than the characters. In that respect, plot-driven ghost stories are similar to mysteries. The reader (or audience) try to guess “the real story” before the reveal at the end. Whether it’s a plot-driven story, a location-based tale, or a character-driven story, get right to the action. Reveal the characters and make them endearing — or unappealing – in a story that has already begun. Don’t base any characters on real-life stars of ghost hunting TV shows, or the shows they’re on, either. Not closely enough to be sued, anyway. Those shows are considered “intellectual property.” They’re protected by trademark laws and highly-paid attorneys. If you need more ideas for rich, dimensional characters, study ghost hunting in the past. Going back in time: the subject has been popular in the 1960s, the 1920s, and throughout the spiritualist era of the 19th century. You’ll find plenty of material and some biographies to inspire you. Those can help you with your characters as well as your story line. 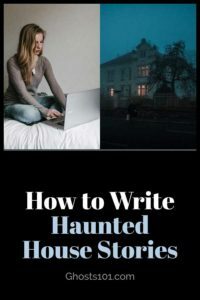 Author Fiona BroomePosted on 7 December 16 8 December 18 Categories Other Topics3 Comments on How should I write haunted house stories? Writing convincing ghost stories can be challenging. You might think you can get away with more in fiction than nonfiction. That’s not necessarily true. You’re competing with accomplished writers like Jane Goldman, Heather Graham, Stephen King, and Nora Roberts. Past greats include Edgar Allan Poe, Henry James, and Shirley Jackson. If you’re writing fiction, read lots of ghost stories. Don’t skip children’s literature. Those can be the best stories to study. Watch classic movies based on haunted houses, and compare them with later remakes. There are formulas for haunted house stories. You can find them online. Do on-location research. Use a voice recorder to capture what you notice at every point during your visit. Keep your voice recorder (or your phone set to record, easily) by your bed, afterward. If you wake up with nightmares or fears related to the haunting, those are useful points to include in your story. However, if you aren’t already a fan of the genre, think carefully before proceeding. Fans of ghost stories have certain expectations. They can seem like hidden standards, but they’re important. And, the reading audience is widely segmented. 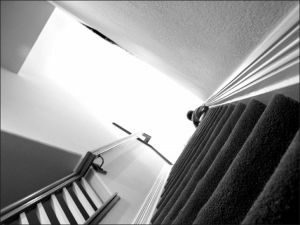 Some readers love a scene where the heroine goes down to the basement though it’s clear she shouldn’t. However, some readers will give your book a terrible review if you include that cliche. Know your audience. Deliver what they expect, and a few things they don’t. They’ll love you for it. If you’re writing nonfiction, thoroughly research the site, people, and relevant time periods. If possible, visit the location. Explore historical sites and living history museums for additional insights. Interview people with first-person stories. Investigate the site with a professional ghost hunting team, if you can. Your story should include all of the elements that have made ghost stories – true and fictional – enduring and successful. Get waivers from everyone you might quote in your book. You may also want a release form signed by the owner of the haunted site. These precautions protect you from later lawsuits. In paranormal niches, nonfiction readers may have fewer expectations. Your book can succeed if you tell them something new and interesting or useful. Include as many details as you can. 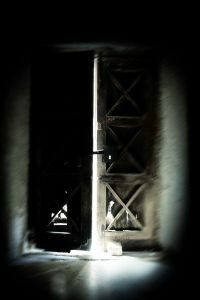 Experienced ghost hunters are looking for specific cues and clues, even if you don’t consciously add them to your book. In a book about poltergeists, I’m looking for research notes from the kitchen, bathroom, and basement. The author doesn’t need to make a big deal about that. I know the signs of a credible tale. Regional cues can be important. An Irish or Scottish ghost is likely to protect the house or castle, as well as the family. An English ghost is more likely to care about lineage, honor (even among thieves), and the portrait gallery. Are your ghost stories set on the coast? To take smuggling legends seriously, I’ll expect some reference to tunnels. Research your stories thoroughly, whether they’re fiction or nonfiction. Then, your stories will impress readers who are experienced ghost hunters. 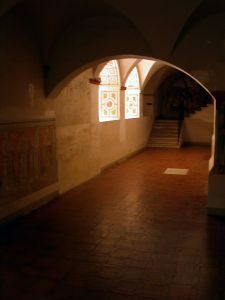 Author Fiona BroomePosted on 6 December 16 8 December 18 Categories Other TopicsLeave a comment on How should I write a ghost story?